The Backstreet Boys will kick off their summer concert tour on June 1, 2010 in Orlando, Florida in support of their seventh and new album, This Is Us. The boys will debut their second single, Bigger, on April 14 on The Bonnie Hunt Show. In addition to the tour, the band, which consists of Nick Carter, Howie Dorough, Brian Littrell and AJ McLean, are happy to announce the inaugural Backstreet Boys Cruise. The four-day fan appreciation event will depart from Miami, Florida, on December 9, 2010. During the cruise, fans will be treated to special full performances by the group, Q&A sessions, game show activities, photo sessions with the band and much more. The Backstreet Boys will also host an exclusive and intimate evening at The Napa Valley Opera House in Napa Valley, CA on April 11. 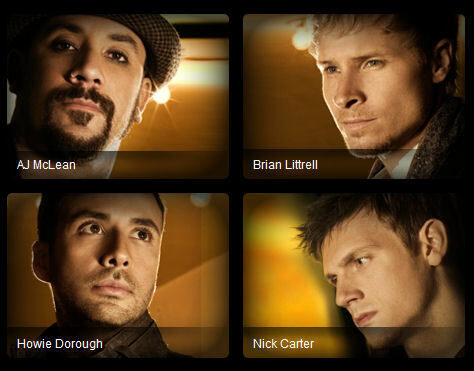 Visit BackstreetBoys.com for more information on the cruise and the Napa Valley performance, and to purchase tickets.